what was he saying no more about? Was he trying to touch the camera? The magic finger .. controls everything! 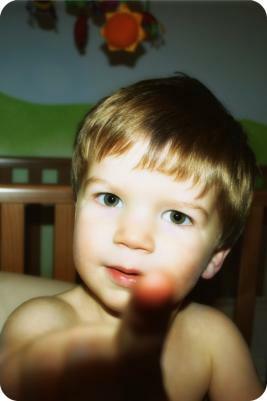 The Boy has a Magic Finger just like Harry!